Each occupation has three dials. They indicate likely income, fees and job prospects for young people entering the occupation. The dials have three possible settings – for income and fees: low, medium and high; and for job prospects: limited, fair and good. See a summary of some of the Competenz industries below. The Occupation Outlook App includes several new features, such as improved search and share functions. It is available for unlimited downloads from the App Store for iPhones and iPod touch devices, and the Google Play Store for Android devices. Job prospects in the manufacturing industry are positive. New Zealand’s traditional manufacturing industries based on primary sector processing remain a vital part of the economy, and are becoming increasingly sophisticated and high-tech. At the same time, new, highly-innovative industries are emerging in areas ranging from pharmaceuticals to telecommunications, from medical devices to watercraft. 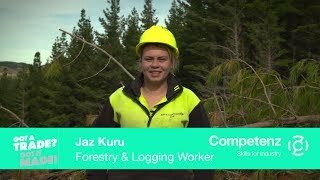 There should be steady work for carpenters and joiners over the next few years, because of the Canterbury rebuild and the housing shortage in Auckland. Other regions also have many opportunities. Prospects for welders are good. Many existing welders are nearing retirement, and rebuilding work in Canterbury has increased demand. There are also opportunities for welders in the manufacturing industry throughout the country. There is a shortage of engineering professionals in New Zealand, and new graduates are in high demand. 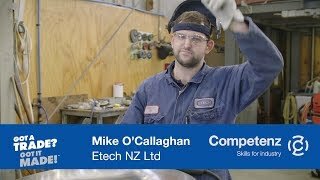 Many engineering jobs are on Immigration New Zealand’s skill shortage lists; this means the government is encouraging engineering professionals to migrate to New Zealand. IPENZ particularly encourages women to consider a career as an engineer. Engineering provides exciting career opportunities. Civil, geotechnical and structural engineers are especially in demand due to the rebuilding of Christchurch. Chances of getting a job as a journalist have improved, due to higher turnover in the industry and major changes in the way the industry is structured, but prospects are still limited because of high competition for few vacancies. Chances of promotion have also improved, with many more senior positions available than used to be the case.